A story from the DMN about the state of microbreweries and beer-related legislation in Texas. Brewers say they rely on word of mouth among diehard enthusiasts, so they want drinkers — particularly those from out of state — to introduce their beers to friends, neighbors and other connoisseurs. A measure offered by Sen. Kevin Eltife, R-Tyler, would let brewery visitors purchase beer on site to take home with them. The financial gains from such sales would be minimal. But the ripple effects from word-of-mouth promotions could be big and even promote tourism in the state, said Michael Peticolas, owner of Peticolas Brewing Co. in Dallas who helps keep tabs on legislative issues for the brewers guild. Another bill would make further inroads in self-distribution by allowing brewers to store ale in a different county, expanding a provision that already applies to other beer styles. Currently, if Peticolas wants to reach out to retailers in Austin or San Antonio to sell his Velvet Hammer Imperial Red Ale, a driver would have to return unsold products to Dallas that same day. Read that last sentence and remind yourself of it the next time you hear someone go on about how much we love free markets here in Texas. While craft brewers are working to build on the gains they made in 2013, there are also efforts to restrict things further. Peticolas, along with Granbury’s Revolver Brewing, is among a handful of brewers suing the state to have more control over distribution. In 2013, the Legislature prohibited brewers from selling distribution rights. Before, distributors would pay brewers for the right to sell their beer in certain markets. Craft brewers say they would then use that money to reinvest in their brew. But now, they must give those rights to distributors for free, although the distributors can sell the rights for profit. Legislation offered by Sen. Senfronia Thompson, D-Houston, would slash distribution rights further. Her bill would reduce the number of barrels that microbrewers could self-distribute from 40,000 to 5,000. Each barrel is the equivalent of about two standard kegs. Rick Donley, president of the Beer Alliance of Texas, said his group helped bring craft brewers and others together to compromise on legisation two years ago. So industry representatives were surprised when craft brewers sought legislation such as Eltife’s bill this year, he said. Donley said craft brewers are thriving in the current system. “They already have every tool they need now to have access to the market,” he said. In a written statement, Thompson said her bill is meant get brewers back into the long-standing system of checks and balances. 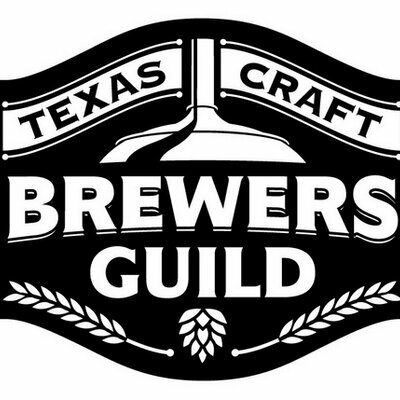 [Charles] Vallhonrat, of the [Texas Craft Brewers Guild], acknowledges that craft brewers worked with distributors and others two years ago, but he disputed that the agreement included a cut in self-distribution rights. Distributors, he argued, could be hurt by the new plan, too. They might have to take bigger risks on new brews before they’ve proved popular. See here for more on that lawsuit. I don’t know where things are going to go from here in this session, but it seems clear that the brief period of consensus that we had in 2013 has passed. Also unlike 2013 and sessions before that, I’m not aware of any organizing efforts by the craft brewers. They have the Guild and I’m sure there’s a lobbyist or two on the ground for them, but there’s been little to nothing to engage the public as there has been in the past. I hope that doesn’t work against them this time. Thanks for pointing out the hypocrisy here. Why isn’t our firmly red state legislature chomping at the bit to just end the byzantine blanket of laws regarding the manufacture, distribution, and sale of booze? Carving out niche exceptions does nothing to solve the problem. Let the manufacturers, regardless of size, sell their product as they see fit. And why isn’t this an issue with bipartisan support? Why aren’t the few liberal politicians in the legislature hammering on this point as well? Do we support a free market? If so, vote like it.